I thought I blogged about this recipe a couple weeks ago, but somehow it slipped through the cracks. Whoops! This is a great recipe to use up some chicken breast and not do much work. I always somehow have several packages of chicken breast in my freezer and this is a great recipe to use them especially since I usually have most of the other ingredients in my pantry. In a slow cooker, add all the ingredients. Turn on low and cook for 6 hours or until chicken is cooked. When the chicken is cooked, remove it and shred. Place back into the slow cooker and stir to combine. 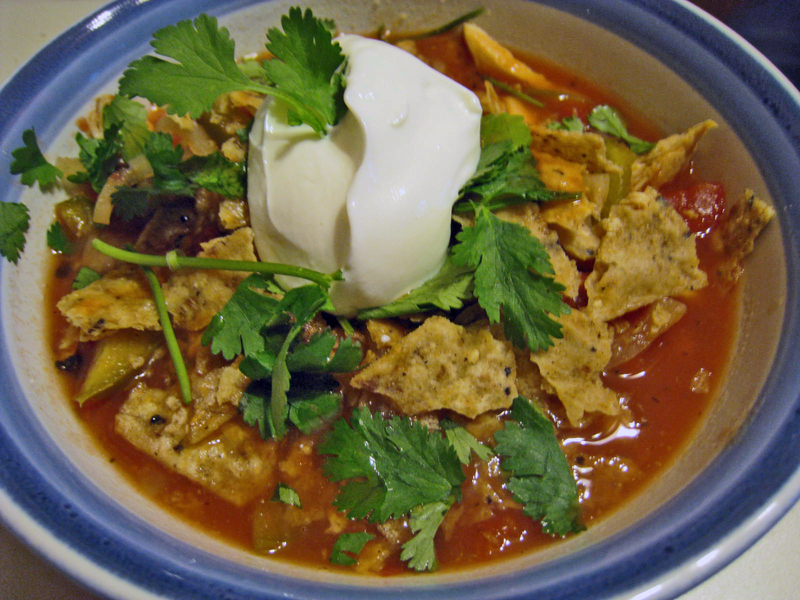 Serve topped with chopped cilantro, sour cream and crushed tortilla chips…or any of your other favorite ingredients!